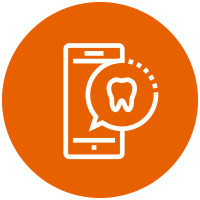 At Enamel Dental, we believe that we have a responsibility to our patients to keep up with the latest technology in dentistry. 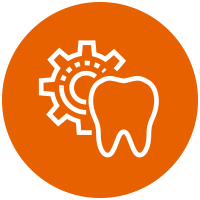 Investing in state-of-the-art equipment and staying current with new dental techniques are ways we can give our patients the best possible experience. One example is the way we now do impressions — molds of the mouth made for procedures such as implants, crowns, bridges and Invisalign. Impressions are necessary to ensure that a new crown, set of aligners, etc. will fit your mouth exactly. Now, instead of making a physical mold and mailing it to a lab, we have switched over to digital impressions using an innovative machine called 3Shape Trios. This equipment is essentially a wand hooked up to a laptop that takes a digital image of your mouth and creates a three-dimensional rendering on the laptop. It takes thousands of photos per second to create a perfect 3D replica of the patient’s mouth. It can also calculate a precise shade. So, if you need a crown, it analyzes the color of the tooth next to it, so that it matches perfectly. In the past, taking an impression was a somewhat uncomfortable process that involved placing a goopy, rubbery substance into the patient’s mouth. The patient would need to be still and bite down for five minutes. Oftentimes it would make patients gag. The impression was only good for a week, and never entirely accurate. The digital process, however, is faster and more comfortable for patients. Eliminating the goopy material makes it a much more pleasant experience. For example, if a patient needs to take a break during the scanning, it is easy to stop for a few minutes and then restart, whereas before they had to keep the material in their mouth until the impression was set. 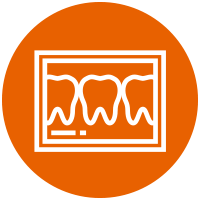 Another benefit for patients is that they are able to see everything the dentist sees, right on the screen. And now, instead of mailing the impression, we e-mail it. 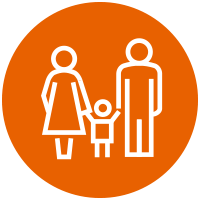 The entire process is more streamlined, faster and more accurate. It’s a win-win for us and for our patients. 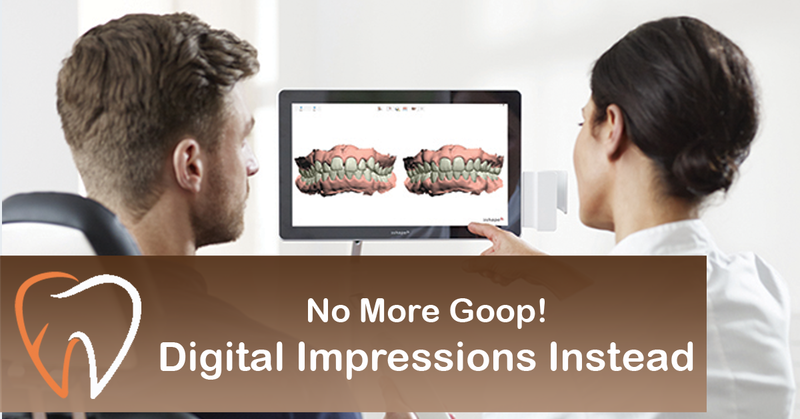 Contact us to learn more about digital impressions or to schedule an appointment.